Laura Martin is on class trip to Rome when Mercury, a dark-eyed boy with wings on his heels, appears to give her a message, and Laura soon realizes that she is at the center of a brewing battle between the gods and goddesses--and only she and her friends can unravel the mystery b... read full description below. 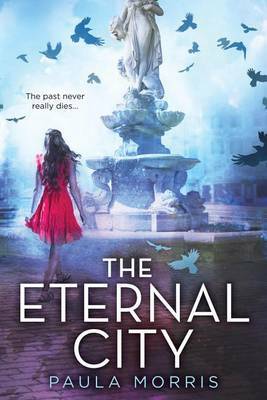 From master of suspense Paula Morris comes a tale of gods and goddesses, thrilling romance, and mystery set in present-day Rome. Laura Martin is visiting Rome on a class trip, and she's entranced by the majestic Colosseum, the Trevi Fountain, the Pantheon . . . Everything in this city seems magical. That is, until the magic seems to turn very dark. Suddenly, statues of Cupid and ancient works of art come to life before her eyes. Earthquakes rumble and a cloud of ash forms in the sky. A dark-eyed boy with wings on his heels appears and gives her a message. Laura soon realizes she is at the center of a brewing battle -- a battle between the gods and goddesses, one that will shake modern-day Rome to its core. Only she and her group of friends can truly unravel the mystery behind what is happening. As tensions mount and secret identities are revealed, Laura must rely on her own inner strength to face up to what may be a fight for her life. Acclaimed author Paula Morris brings the ancient world to vivid life in this unstoppable tale of friendship, love, and the power of the past. Paula Morris is the author of RUINED, DARK SOULS, UNBROKEN, and several award-winning novels for adults in her native New Zealand. She now lives in England with her husband. Please visit her online at www.paula-morris.com.